A new law expands the options available to business owners wanting to protect their trade secrets, but also includes new requirements for employers to include in agreements with employees and contractors. On May 11, 2016, President Obama signed into law the new federal Defend Trade Secrets Act (DTSA), now Public Law No. 114-153. Under the DTSA, an individual or company can now file a civil action in federal courts, regardless of the amount of damages, for theft of trade secrets that are “related to a product or service used in, or intended for use in, interstate or foreign commerce.” Before enactment of the law, trade secret actions could be brought in federal court only as criminal actions by a federal prosecutor. Businesses and employers were limited to civil relief in state courts under a patchwork of legal standards that varied from state to state. With the new law, businesses can choose between federal and state court. State law causes of action, including under the Uniform Trade Secrets Act as it has been adopted by many states, remain available. The DTSA also includes some remedies that go beyond those available in a state court action - such as the seizure of “property necessary to prevent the propagation or dissemination” of the trade secret (e.g., computers, customer lists, product information), exemplary damages (up to 2x actual damages) and attorneys’ fees for willful violations. However, the DTSA requires that an employer provide proper notice to its employees of certain whistleblower provisions in order to benefit from the full range of available DTSA remedies. Specifically, the employer must notify its employees of DTSA provisions that grant immunity to individuals who confidentially disclose the trade secret to the government, to an attorney or in a court filing, as in an anti-retaliation lawsuit brought by an employee. 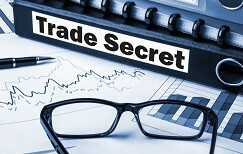 The employer must include these disclosures in any contract or agreement that governs the use of trade secret or other confidential information. This disclosure requirement would apply, for example, to any employee confidentiality or non-disclosure agreement, binding employee handbook, separation agreement, independent contractor agreement, or non-competition agreement. What does the DTSA mean for my business? Update and amend employee and independent contractor agreements to include disclosures required under DTSA. Even if you decide not to amend agreements with existing employees, standard forms for new hires should be revised. Update and amend confidentiality and non-disclosure policies and agreements to include disclosures required under DTSA. Even if you decide not to amend agreements with existing employees, standard forms for new hires should be revised. Review and amend any forum selection or venue provisions in agreements to make sure they allow for actions in a preferred federal judicial district. If you have specific questions about how this new law impacts your business, contact a member of the Stokes Lawrence Intellectual Property or Employment practice groups.